Read on to discover why Rebecca Tokarz of Sojourn Therapeutic Massage is regarded as the best massage therapist in the Joliet area and how she can help you get the results you're looking for and provide you with your best massage therapy experience yet! Then use the free Joliet massage gift certificate at the bottom of this page for your first visit. Rebecca Tokarz is that and more. She has developed a reputation for meeting your unique needs and making sure that every client leaves feeling relaxed and happy. Take advantage of her special Joliet massage therapy gift certificate at the bottom of this page and experience how good a massage really can be. "Rebecca is confident, competent, professional and thorough. She is the best massage therapist and makes me feel great after each treatment. Keep up the good work!" When it comes to getting massage therapy, Joliet residents know that Rebecca is the person to see. Rebecca specializes in first time clients. She knows that getting your initial massage can be a little stressful and she'll go the extra mile to make you feel comfortable and relaxed. Her warm personal approach and caring nature will put you instantly at ease. 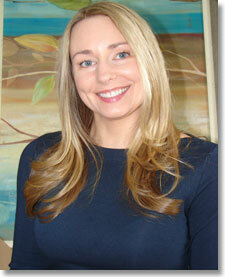 Rebecca would love to be the one to introduce you to the benefits of massage therapy. And with the special Joliet massage gift certificate you'll find at the bottom of this page, it only makes sense to see Rebecca for your first massage in Joliet. "Rebecca has a gift, simply put. Rebecca not only is educated and knowledgeable in technique but has a personality that adds comfort and security to the entire session. You need to feel comfortable when you have someone working w/you at that level, she knows how to do that along with technique." Just enter your first name and email address and you'll have instant access to a gift certificate that you can use or give to others. Print the certificate and contact Sojourn Therapeutic Massage to set up an appointment time that's convenient for you. We'll send you Rebecca Tokarz's free monthly Healthy Living newsletter which is filled with great information for living healthy and feeling your best. Massage makes a unique gift. 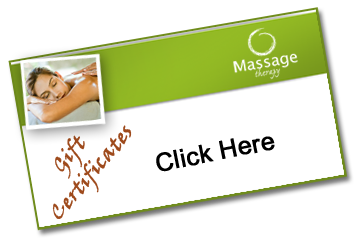 If you need to get something special for a friend or loved one in Will County consider a massage therapy gift certificate. Call the office at (815) 741-9741 to order today or pass on this special Joliet massage gift certificate. Rebecca also provides massage therapy for the residents of nearby towns like Plainfield, Lockport, Naperville, Orland Park and Tinley Park. Let your friends and family know about Rebecca Tokarz's offer. Fill in the form below to send them a link to this page. All information is strictly confidential and no other email will ever be sent unless requested.